How do you make sure that you keep hydrated during your run? Is there a convenient way to store water while keeping your hands free? These are common questions all runners especially marathon runners face. Being able to keep hydrated during your workout will help you to perform better and endure longer. One of the latest technologies is the camelbak. 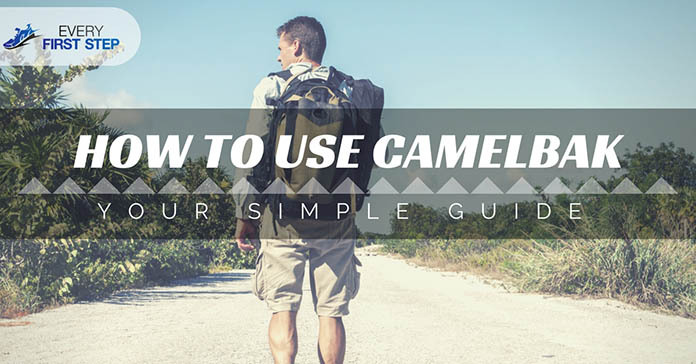 How to use a camelbak and why should you opt for this water storages system? ​How To Select The Best Hydration Pack? A camelback is technology designed to hold from 1.5 to 3 liters of water in a backpack shaped pouch that sits on your back. It is designed to offer comfort and keep good air circulation while serving as an additional storage area. Pockets are included to offer storage for items like keys, extra clothes and cellphones. The camelback is designed to fit comfortably on your back and fit your upper torso stably. In order to avoid spillage, a bite valve allows easy drinking while a shut off valve enables you to control the flow of water. This popular hydration solution is ideal for other sports such as hiking, biking and snowboarding. The inner bladder is where water is stored. It can be accessed by unzipping the outer part of the pack. The bladder is sealed securely to avoid leakage and is also where the reservoir tubes are attached. ​Another important component of the camelbak is the reservoir tube where water passes from the inner tube to your mouth. It has a bite valve attached to the end that goes in your mouth and regulates the flow of water. The outer part of your camelbak resembles a regular backpack and is designed to fit comfortably on your back. It also contains additional pockets for storage. The weight of the pack - always consider your body weight and size when selecting a camelbak. Remember that you will be running or cycling around with this weight. Find a camelbak with a size that you can carry around easily. ​The cost is another important factor - compared to water bottles, camelbaks can be quite costly ranging from 50 to 150 USD. ​The maintenance involved - if you are looking for something that is easy to clean, a camelbak may not be a good idea for you. It requires more maintenance than an ordinary water bottle. ​Quality of the pack - there are some hydration packs that are prone to leaking and spillage so do your best to find a pack that is durable and has features that prevent leakage. Remove the top and fill it with water. If you wish to have cool water, you may also use ice cubes in the bladder. The camelbak is designed to keep water cool for long durations. Return the bladder to the backpack making sure you screw the top back tightly. You can now select where you want the tube straw to be so it is easily accessible to you. Wear the camelbak like you would a backpack on your back or on your front if you prefer. Tighten the adjustable belts around the torso. The straw should be over your shoulder for easy access. If your pack has shoulder straps then adjust these first. Check if your model has a Velcro strap system at the bottom of your shoulder and if it does, adjust these first. Make sure you feel comfortable as it rests on your shoulders. If your back has a waist belt line, fasten this next until it is comfortable around the waist. As much as possible, set the shoulder straps in a way that aligns them with the top of your hips. If your pack has a sternum strap, secure this across your chest. This will remove the weight from your shoulders and give you ample support. The reservoir tube is what allows you to drink comfortably without having to stop. In time however, some problems may start to develop in the tube. When this happens, it may be time to replace the tube. ​Unlike ordinary water bottles, a camelbak is a little difficult to clean. Here are some tips to help you prevent mold buildup. Using a camelbak is one of the easy ways to ensure that you remain hydrated during your run. Aside from hydration, it is comfortable to carry around and provides additional storage. Whatever the nature of your outdoor sport, learning how to use a camelbak is something that will prove valuable.